O’LearyGoss Architects’ design for a terrace of five houses on a backland site in south Bristol is the subject of a current planning application to Bristol City Council. The site has long been vacant, its last use being a builder’s yard well over a decade ago. Our proposals provide five family houses, each with a south facing garden set over three storeys to take advantage of the steep slope over the site. Each house has a dedicated on-site parking space, with a communal landscaped area to the front enhanced by two retained trees. O’LearyGoss Architects’ designs for an apartment building in Bedminster, Bristol have been submitted for planning permission. 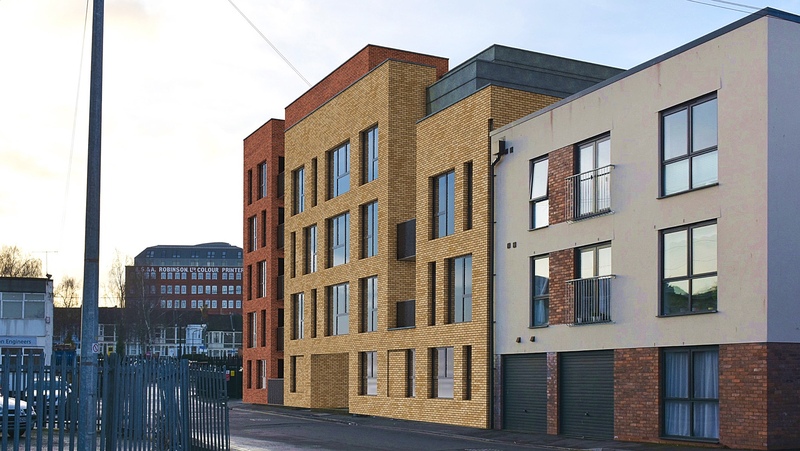 The proposals, for Crown Developments, provide 30 apartments in a building which steps from three storeys to five storeys in height, executed in two colours of brickwork with feature metal cladding. 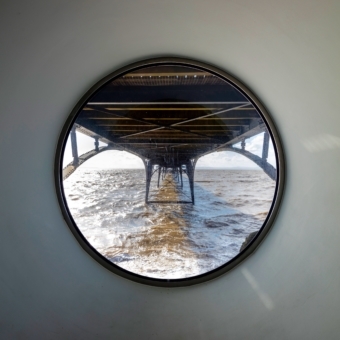 A communal heating system is located in a retained building on the site. 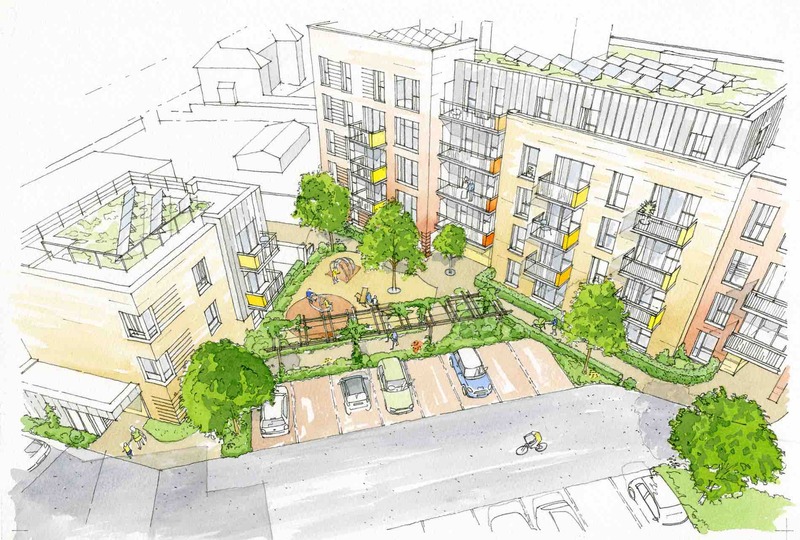 The scheme also includes a small shared south west facing garden for the enjoyment of residents. Most apartments have private balconies or terraces. 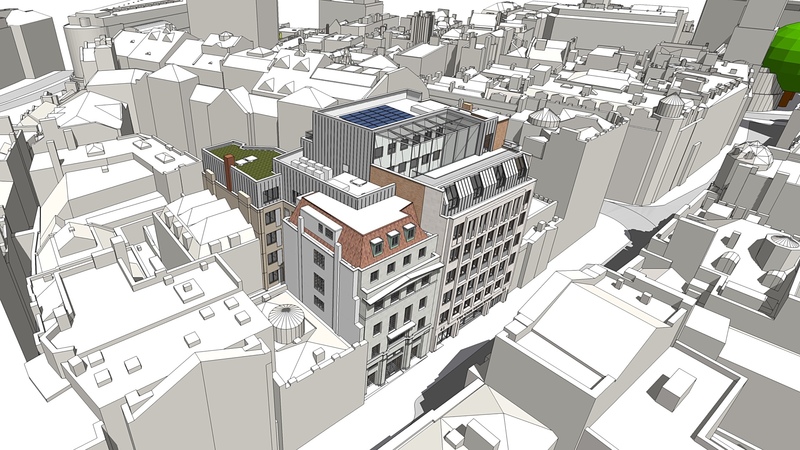 The image shows the proposed building, with O’LearyGoss Architects’ conversion of the Robinson Building in the background. 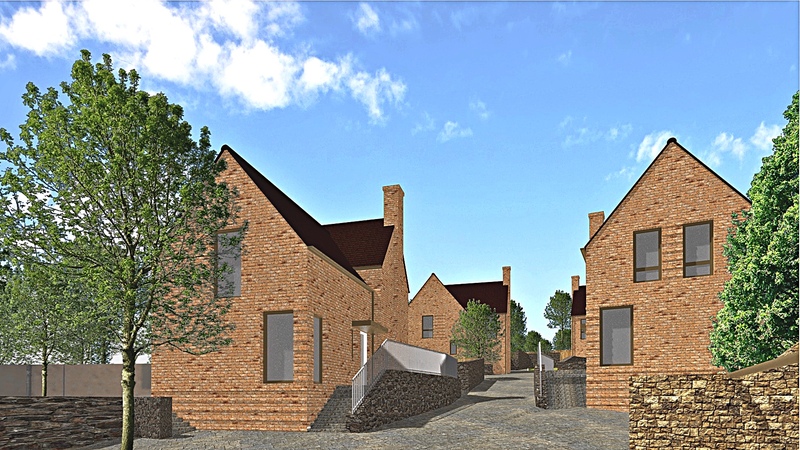 O’LearyGoss Architects’ designs for a small infill residential development in Portishead for Crown Developments have received the unanimous approval of North Somerset Council’s Planning Committee. The project retains the original 19th century house and the conversion of an outbuilding to become a small cottage. Four new houses are arranged around a a cul-de-sac. These new buildings use simple pitched roof forms in brick and plain tile, with large windows carefully orientated to maximise sunlight whilst avoiding overlooking. The buildings have been arranged around existing mature trees, and the site layout enhances the ecological footprint of the site. The proposals also address long standing residents’ concerns regarding road safety on Slade Road. O’LearyGoss Architects’ designs for a hotel in Corn Street in the heart of Bristol’s Old City have been submitted for planning permission. The proposals convert a Grade II listed building by Sir Giles Gilbert Scott, along with a 1960s office building next door, into a 126 room modern hotel, complete with foyer bar and restaurant sited on the ground floor. The proposed full height top-lit atrium through the later building provides the “wow” factor to complement the remodelled precast concrete facade which will be clad with Portland stone. 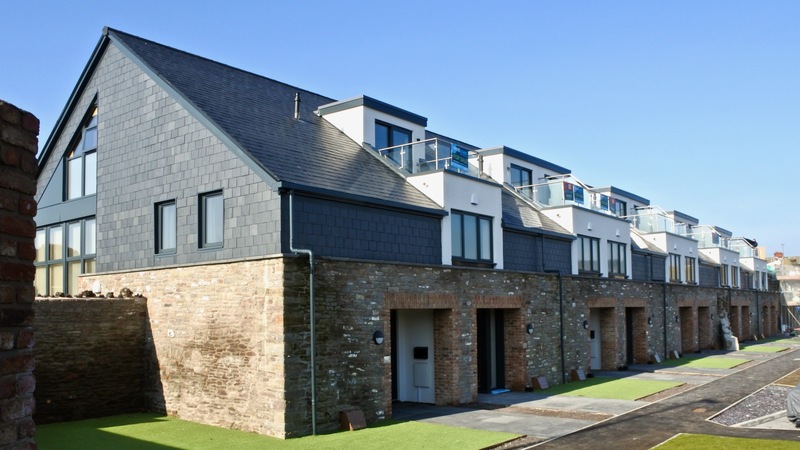 The first residents have now moved in to the townhouses designed by O’LearyGoss Architects in the former Glassworks building in Nailsea. Rollo Homes are currently completing the commercial unit at the High Street end. O’LearyGoss Architects have won planning permission for the conversion of a former agricultural outbuilding to a new house. 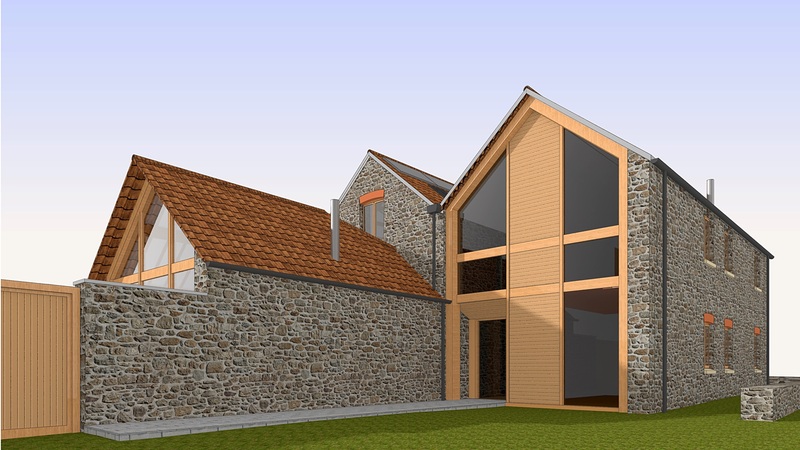 The design re-uses the existing stone barn structure, with a modern timber framed and clad to an existing open gable. Our design also replaces an insensitive steel clad wing with an oak framed living area orientated to catch afternoon and evening light. 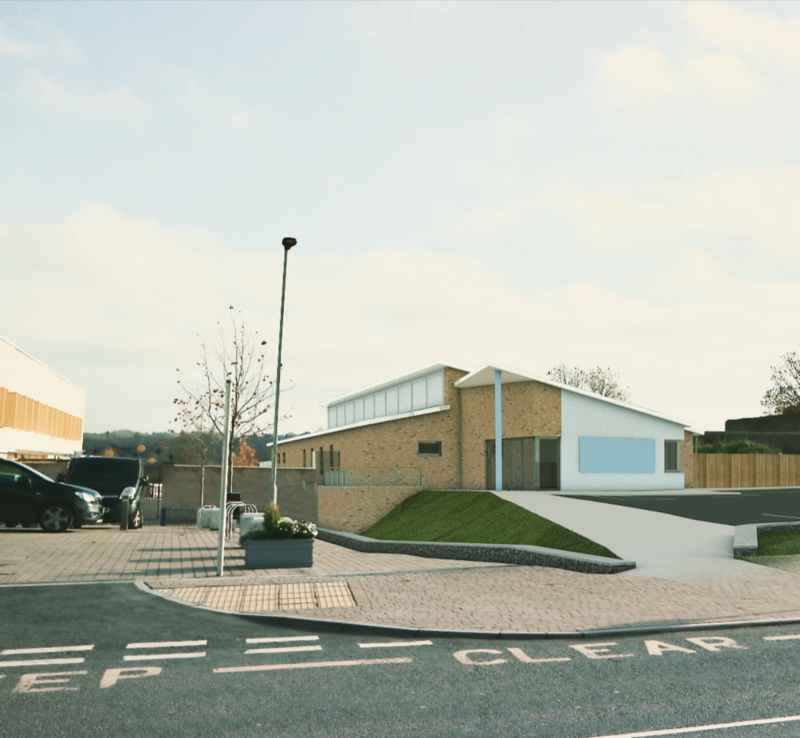 Following a thorough dialogue with Gloucestershire City Council, O’LearyGoss Architects’ design for a new day care centre in Lyde Green has received planning permission. The design provides an outstanding caring and learning environment for up to 81 children from the local area. The building will be built by Kitto Construction for Clipper Properties Limited on behalf of Happy Days Nurseries. O’LearyGoss Architects’ designs for 67 houses and apartments in South Bristol received unanimous approval at Bristol’s Planning Committee meeting of 9th January. Designed to a high density, all dwellings are generously proportioned, with every plot enjoying private outdoor space in the form of a garden, roof terrace or balcony. The buildings are set around a communal open play space at the heart of the site. 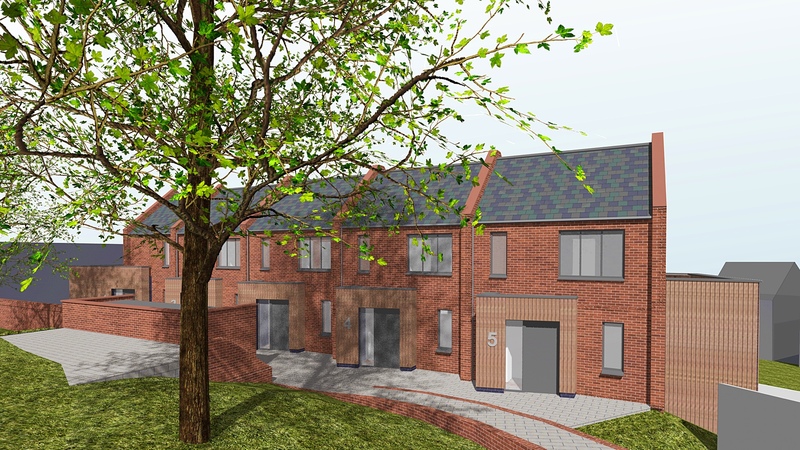 The applicant, Developments Bristol, will transfer the project to United Communities for delivery of a fully affordable housing scheme. 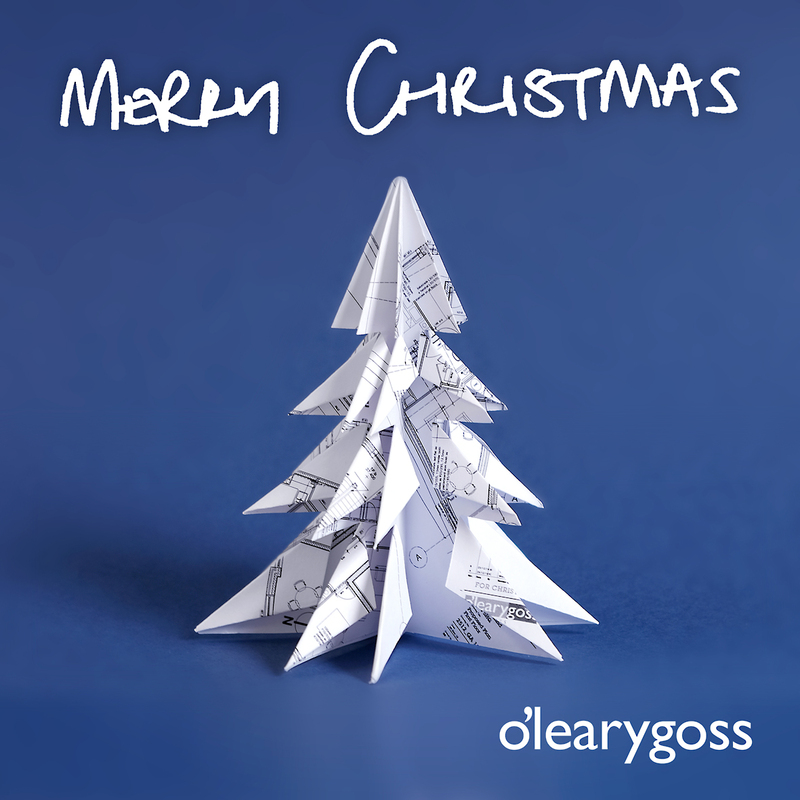 Our offices will be closed from lunchtime on Friday 21st December until Wednesday 2nd January 2019. We look forward to working with you in the New Year. 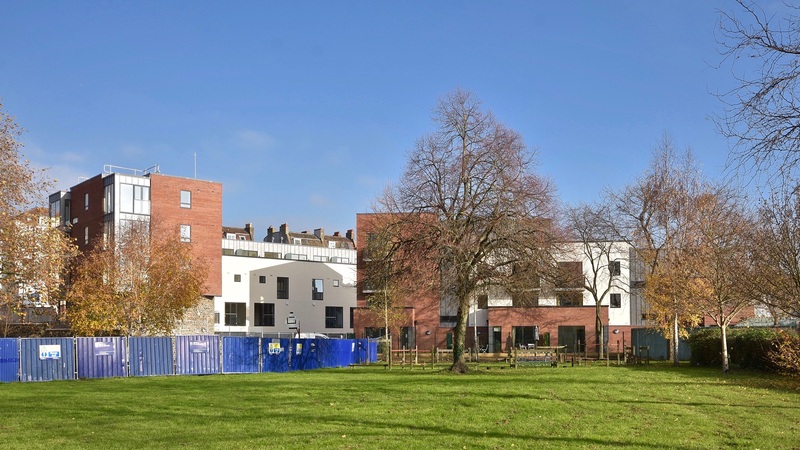 The second and final phase of the Bankside residential development off Coronation Road in Bristol is nearing completion, with residents starting to take occupation of the 29 apartments and eight townhouses. Over the coming weeks the construction site set-up will be removed, and the landscaping reinstated.